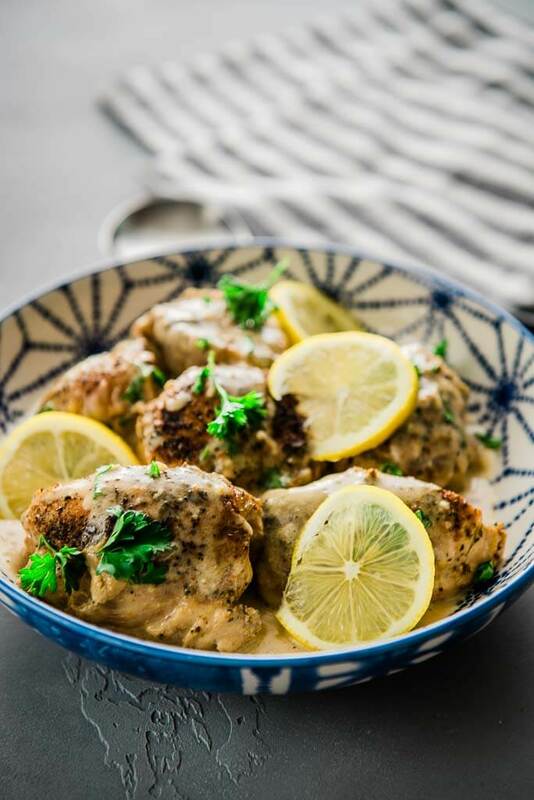 Instead of complaining about chicken for dinner, everyone will be begging for these Instant Pot Chicken Thighs with Lemon Sauce! Quick and easy and packed with delicious flavor! 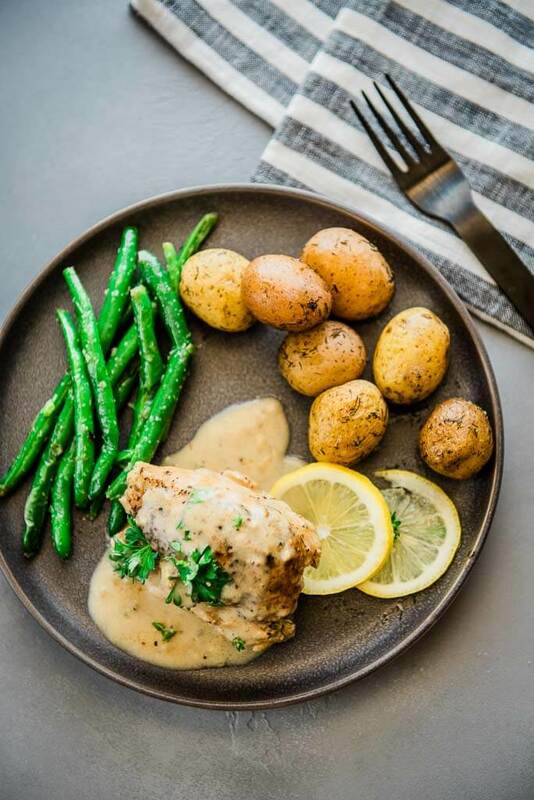 I have a version of this recipe that I make in the slow cooker, but I thought it was about time to make it for the pressure cooker as well! 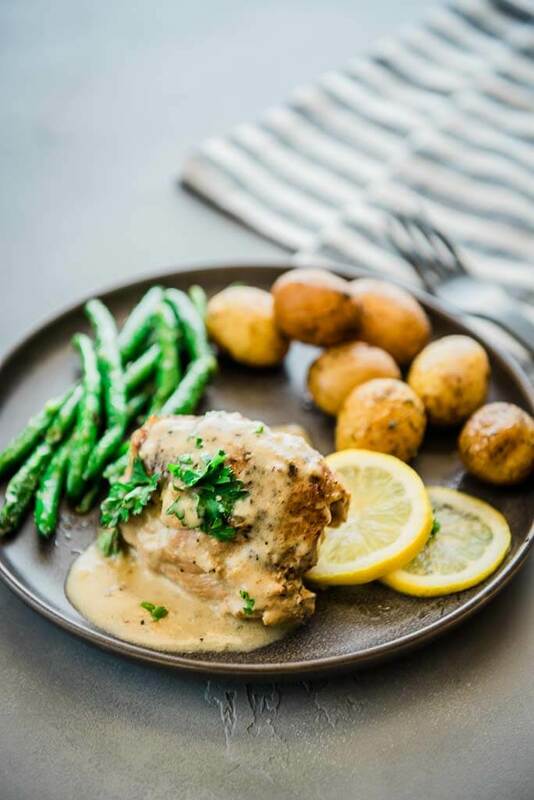 It adapts perfectly, and while having dinner started in the morning is always nice, sometimes you can still find yourself in a bind needing a quick and easy home cooked dinner. 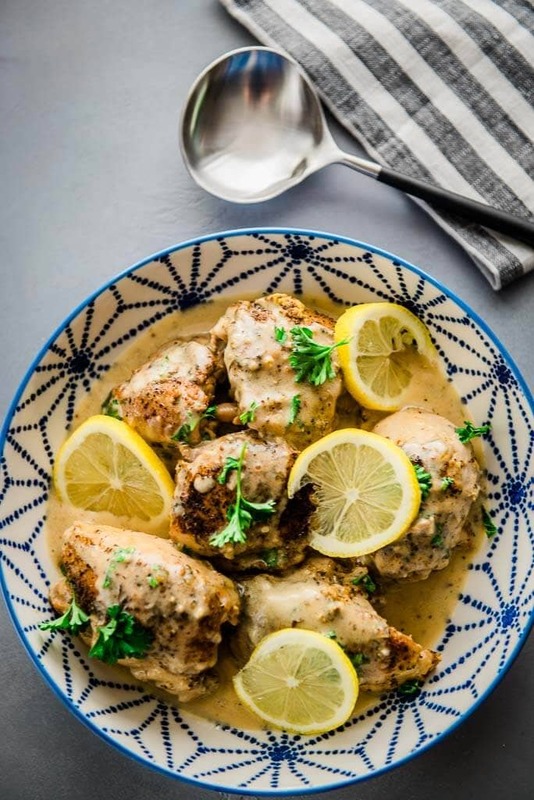 And I just don’t think in that situation that you should ever have to settle for a frozen dinner or pizza, especially when there are recipes like these Instant Pot Chicken Thighs with Lemon Sauce that are so quick and easy to make! I love things that can be made all in one pot, because who likes washing extra dishes. Take full advantage of the fact that the Instant Pot can brown your meat and pressure cook your meal all in one. 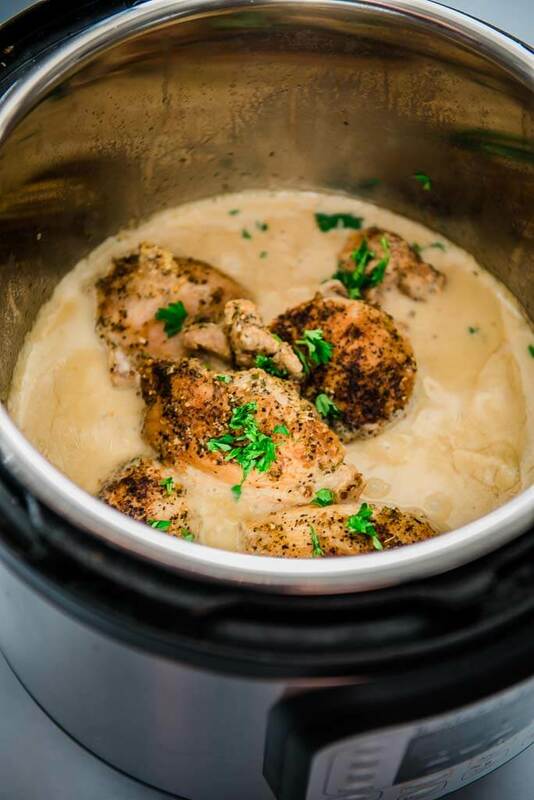 How long does it take to cook chicken thighs in an Instant Pot? 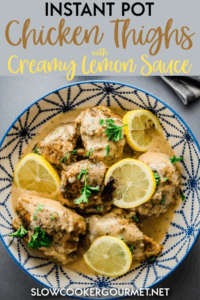 How to make lemon sauce in the Instant Pot? To make the sauce, we will wait until the end and take out the chicken thighs. Then thicken the sauce using a cornstarch slurry plus a little cream, and use the sauté function once more to bring the sauce to a quick simmer. That’s it! There you have a dinner that will have the whole family scrambling to the dinner table. And while it does take longer than an “instant” you can still plan on having dinner ready in about 35 minutes from when you start cooking, and most of that will be hands off time you might be able to use to get a few other things done as well. Can I use frozen thighs? You could but you’d have to skip the browning step which I think is important to this recipe, so I’d just recommend thawing first in this case. It should take around the same amount of time depending on the size of the chicken breasts. I’d keep an eye on the cooked temp of the chicken to make sure it doesn’t get overdone. This looks amazing! 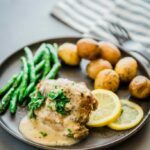 How much time would I cook the chicken thighs if they’re bone-in? Add 2-3 extra minutes for bone-in. I hope you enjoy!! Can you use boneless breasts instead of thighs? Yes, however you may want to up the seasoning a bit as the breast meat will not have as much flavor. This looks and sounds delicious. Do you think it would be okay without the cream? I think the sauce my feel a little to oily without the cream, but it may be worth a try!